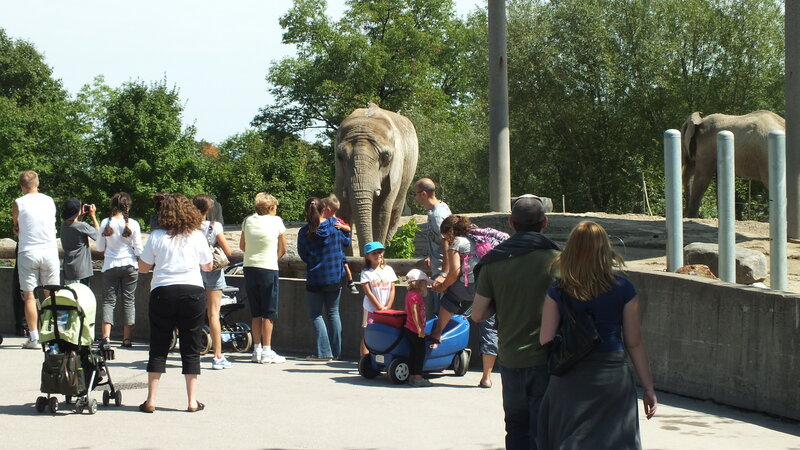 After my post on the Ontario Roadside Zoos and the problem of exotic animal ownership and regulation, it seemed only natural that I should address the tragic event that occurred last week in Zanesville, Ohio. In case you missed it, a man named Terry Thompson killed himself. But before he did that, he set free more than 50 exotic animals from his private collection. Lions and tigers and bears ran loose; police with guns and wildlife experts with darts converged; locals were cautioned to stay indoors; the dark of night took over, and when the bloody aftermath was revealed, the death count stood at 49 animals including Bengal tigers, lions, grizzly and black bears, mountain lions, wolves and primates. But after all this, I couldn’t really figure out what to say. The scope of the tragedy doesn’t need restating. The state of Ohio and the governor are being called to task over the state’s lack of regulation and l didn’t think I needed to draw the obvious parallel to Ontario and the potential for that to happen here. Besides, the main points have been covered quite well. Susan Orlean at the New Yorker, wrote a lovely piece addressing the question of whether any exotic animals should be kept in captivity – zoos or otherwise. Her points are all right on the mark. Television host and former director of Columbus Zoo and Aquarium, Jack Hanna directed his wrath at the Ohio legislators, insisting they review the current exotic animal laws. And several writers and bloggers did a nice job of summing up the complexity of regulating exotic animal ownership, the role of the media and its thirst for “wild” animal marketing shots, and making the point that there are no simple solutions. But then I realized, there is one more thing that needs to be addressed. 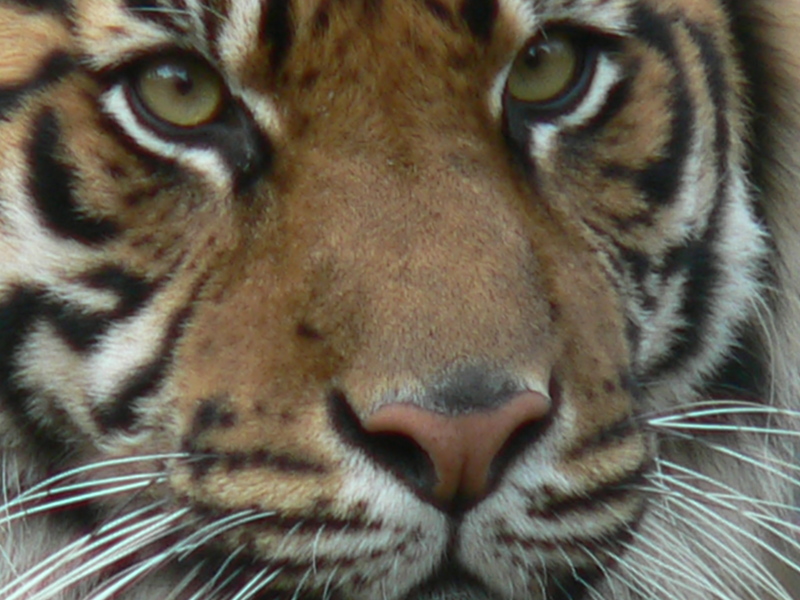 Put aside, for a moment, the question of whether any exotic animals should be kept captive. I want to address the current state and one root problem that I have not seen discussed anywhere: the problem of the solitary owner. Some commenters across the net (probably those who own exotic animals) have argued that the laws are fine and that Thompson was an anomaly—mentally ill perhaps—and that this tragedy was a one-off event. They insist that individuals can provide just as much care and safety as a zoo. Human deaths caused by animals: 12 at AZA Zoos, 42 by exotic pets. Human injuries caused by animals: 97 at AZA zoos, 280 by exotic pets. Animal deaths caused by humans: 0 at AZA zoos, 112 exotic pet deaths. Given the millions of people that a typical zoo animal has potential contact with (visitors and caretakers) and the small handful that a typical exotic pet may have (owner, friends & relatives), the odds of something going terribly wrong are extremely biased towards the individual pet owner. The problem here is that when you have a single individual responsible for something as dangerous and complicated as a lion or venomous reptile*, there is huge potential for accidents or malice. A proper zoo has checks and balances. A limited number of people have keys and access to animals. Everybody has gone through safety and emergency training. Hundreds of workers are on the property during daylight hours. Animals are put away and enclosures and buildings are locked up at night. Everyone is keeping track of everything. 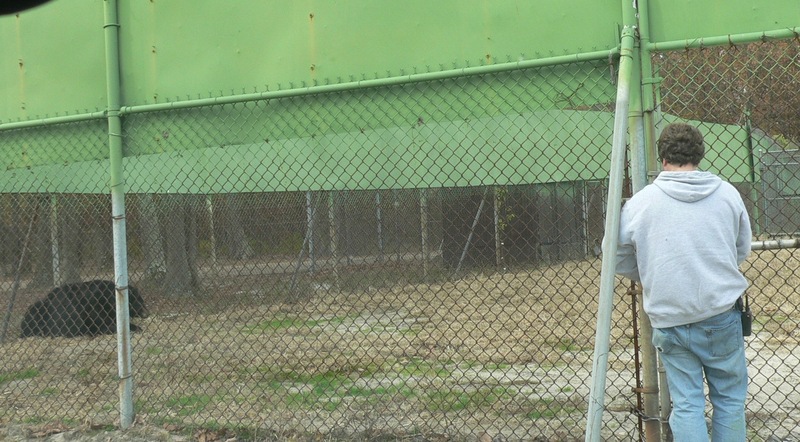 Sure, a zoo employee can make a mistake – leave a gate unlatched or enter an enclosure that wasn’t properly cleared of animals. But if either of those things happens there are processes that kick in. 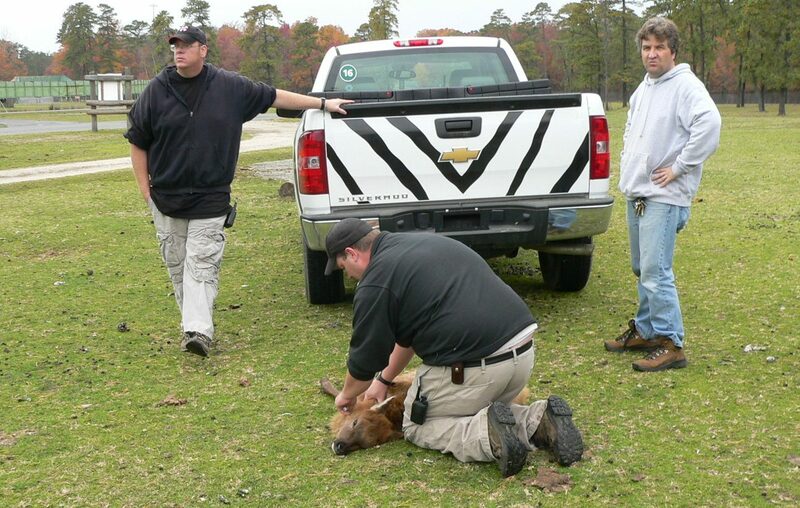 Most zoos have an Emergency Response Team, veterinarians and animal handling staff that are specially trained (and armed) to contain, capture or kill escaped animals. Emergency drills are held regularly and in an actual emergency, zoo employees are in radio contact. In zoos, keepers are almost never in physical contact with their animals, nor do they share the same space with them without some form of physical barrier. In some cases, keepers are required to work in pairs. In addition, enclosures for some of the most dangerous animals are often equipped with “escape cages” for staff to hide in. 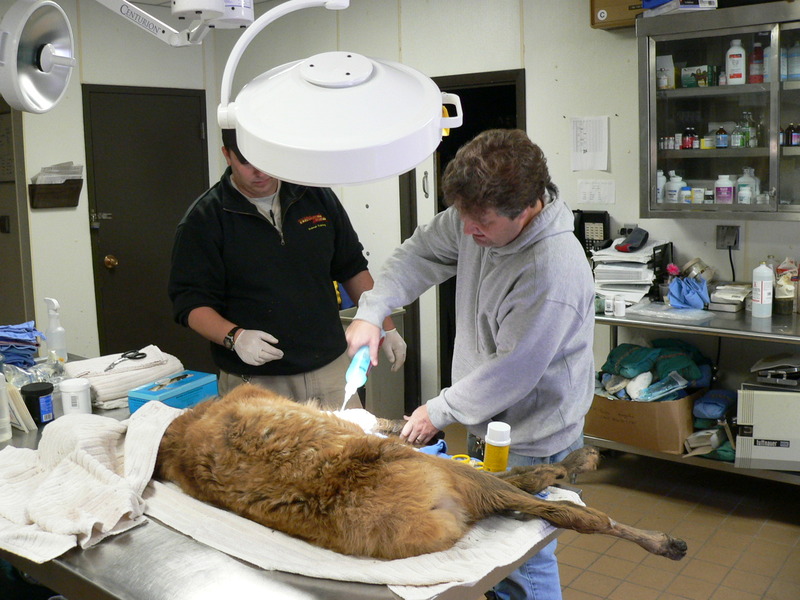 Exotic animal medical care isn’t a DIY job. And finally, the health of zoo animals is looked after by veterinarians. Vaccinations are kept up to date, animals are monitored for infections, and their medications are prescribed by their doctors. But when an ordinary private citizen owns one or more exotic pets, there is no way to mitigate human error or malice. Nobody to double check a gate latch or alert the owner to an animal out of place. Nobody notices when an owner is sick, old, depressed, medicated, drunk or otherwise prone to bad decision-making. There is nobody else to help foot the bill for caring for the animals. And finally, there is no crack team of pros to call when things go wrong. One tends the baby. One keeps watch for Mama. 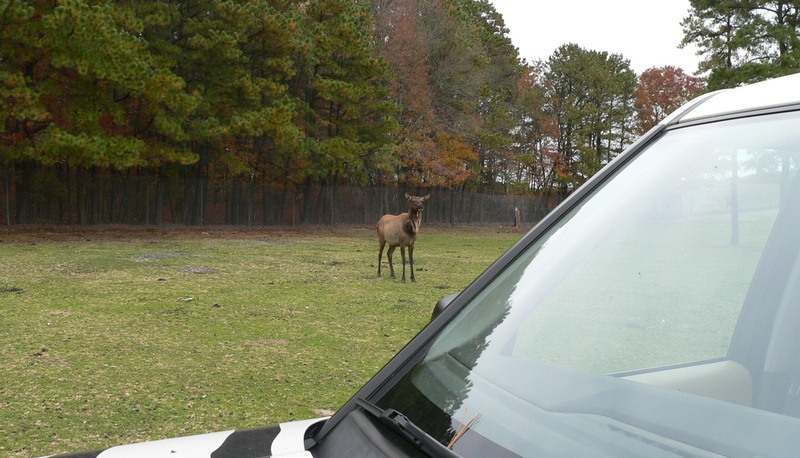 One keeps his eye on the photographer (me) making sure she doesn’t stray from the truck. Charla Nash was savagely mauled and lost most of her face and both hands to an enraged pet chimpanzee named Travis. The attack occurred when Travis’s 70 year old owner, Sandra Herold, was unable to convince or force the 200 lb chimp to come into the house. She called her friend Charla to give her a hand. When Charla got out of her car, Travis viciously attacked her. With nobody to help her, Herold tried to beat and stab the chimp and finally called 911. By the time police arrived Nash was irreparably mauled and officers had to kill the chimp in self defense. Later it was learned that Herold, of her own accord, had given the ape Xanax, a drug which may well have induced his rage. In a zoo situation, a 70 year old woman (or anyone) would not have been handling an adult male chimp and he would not have been out in the open yard for any reason. She would not have been administering medication from her own medicine cabinet. She would not have had to call a friend to help her manage the animal and she would not have had to rely on her own efforts and a call to 911 to try to save Charla. Mama doesn’t look dangerous, but don’t be fooled. Terry Thompson may have been depressed over his severe financial difficulties. He was unable to pay his bills and for the upkeep on all his animals. He was also a man who had been convicted on animal cruelty and federal weapons charges and had just returned from a year in federal prison. For those reasons alone, he would never have been hired by a zoo. Even if he had, Thompson would never have had access to such a large number and variety of dangerous animals. In addition, had he been emotionally unstable, a co-worker might have noticed and reported him. Norm Buwalda, a 66 yr old man killed by his pet tiger last year on Ontario was described after a site visit by officials, as having difficulty walking and having impaired vision, yet he still went into the cages with his animals. He was killed while in the cage feeding the tiger. And just today, a little girl was hospitalized with a mysterious fever and stomach pains. Until she told the doctors that her Aunt’s pet kinkajou had bitten her, they were unable to diagnose her serious illness – the result of a bacteria, unique to kinkajous, called Kingella potus. Nobody in the family had any idea that a simple bite from this animal could be so infectious. “I think you should have to be licensed for a pet like that. That bite took over her body. If it bit somebody else, it could do more damage.” Miika Mongomery, mother of kinkajou victim. And that’s the story across the board. Every time we read about one of these tragic interactions between humans and exotic pets, it’s because some person thought he or she was capable of managing the animal safely and correctly. But a wild exotic animal requires a team. By trying to go it alone, exotic pet owners are putting themselves, their families** and friends, and their animals in danger. 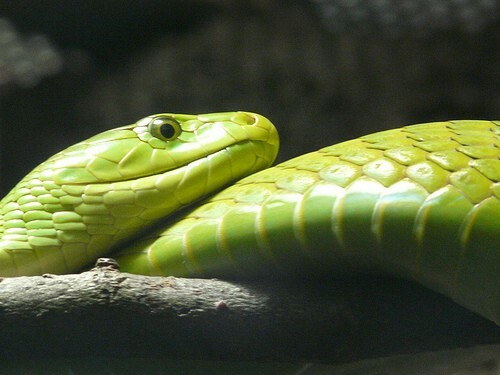 * In the 49 cases where exotic pets have killed someone, 10 were owners killed by their venomous snakes. ** In those same 49 cases, 32 owners were killed and 9 family members, all under age 14 were killed. All photos mine. Please request permission before reprinting. NextScientists: Get Out There and Inspire!